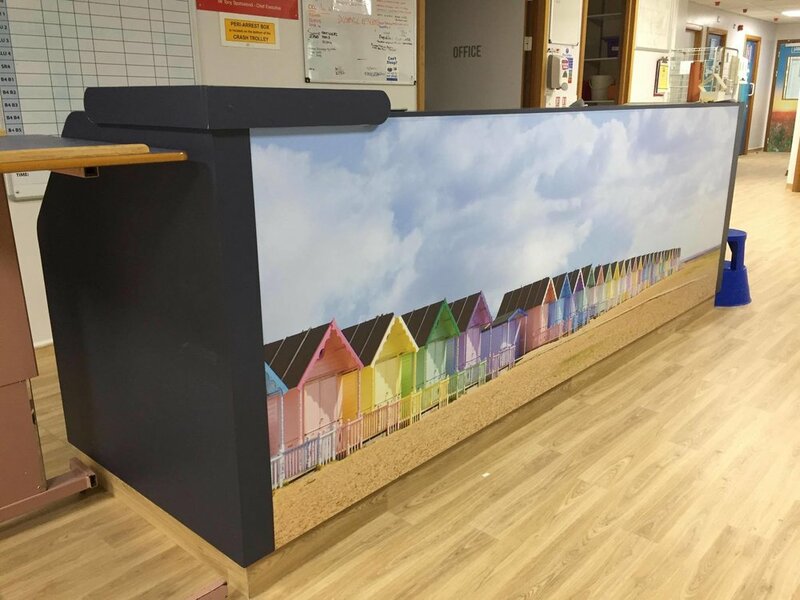 We deliver a wide range of print and signage across Bournemouth, Dorset and the UK. 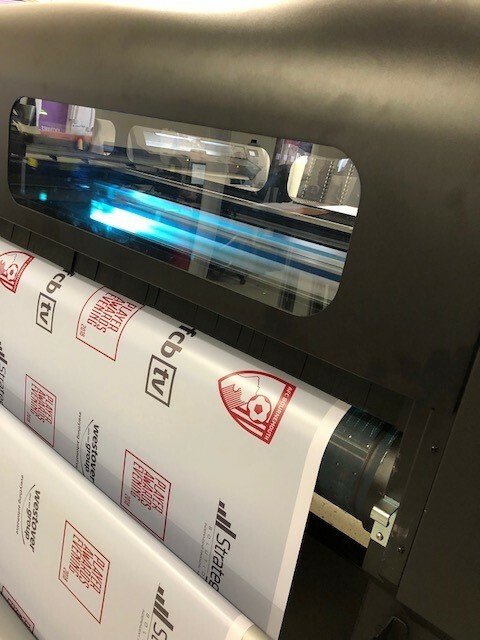 Based in Poole close to Bournemouth on the south coast of England, Think Signs have a highly experienced design and manufacturing team with over 25 years’ experience within the signage industry. 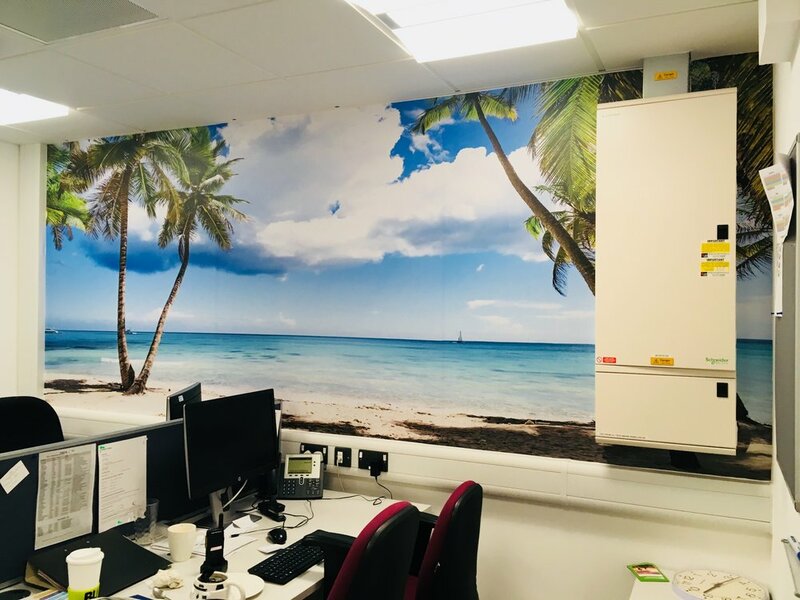 Our state of the art wide format printers provide picture perfect quality at any size. We proudly offer a highly efficient installation service with a quick turnaround. We are your first choice signage company. We specialise in a vast range of signage and vehicle wrapping. Contact us now to start your new project! Here is a hand picked selection of recent signage we have completed. 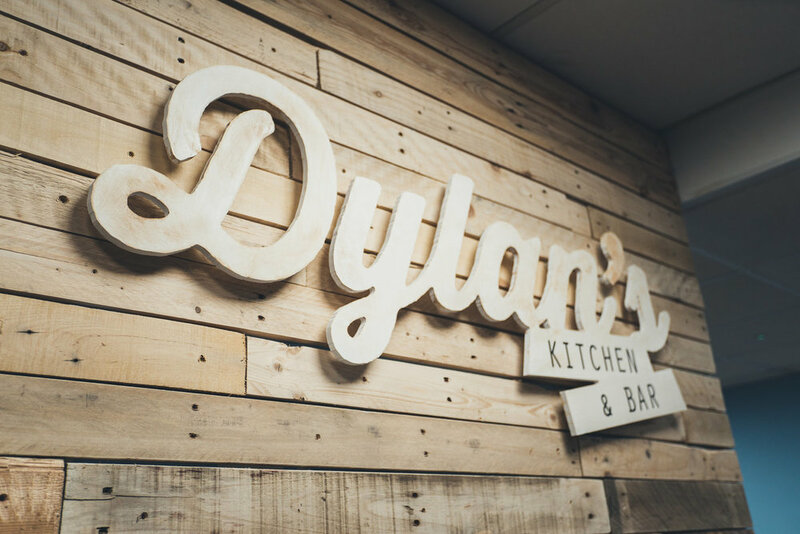 Think Signs Ltd has an extensive portfolio of sign solutions for a wide range of markets, including corporate, retail, and education. 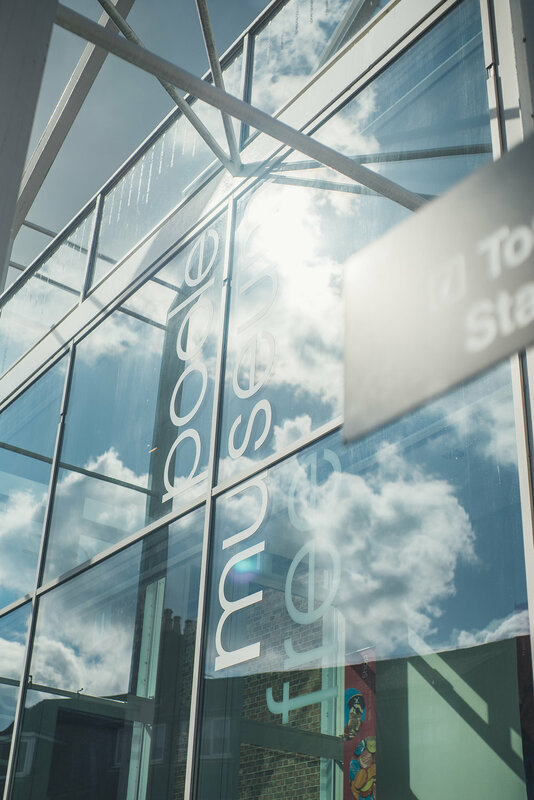 Our logistic capability is first class, from a single sign to multi-site roll-out, our geographic reach enables us to manage the most complex of projects from site survey and design to manufacture and installation. 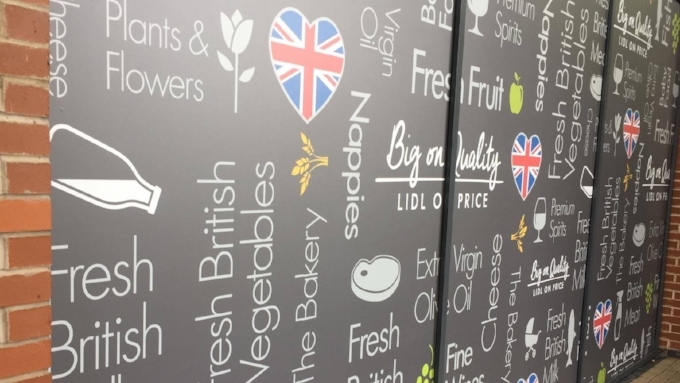 At the end of the 2017 year, phasing through to this present year we have been involved in solidifying and standardising the Lidl’s brand by designing, manufacturing and installing new and improved window graphics for all Lidl’s UK stores. By creating and standardising the imagery to suit all Lidl’s stores, we were able to help unify the Lidl’s brand so when customers walk into any store, they would enjoy the same experience. This project installing internal signage instore and external signage to be placed on the store windows. 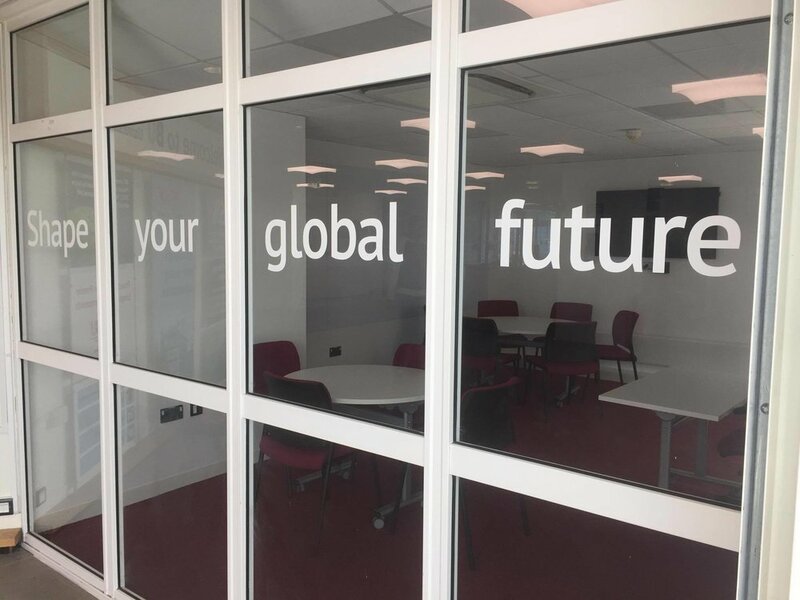 The main challenge during the project involved working with different window sizes at different stores across the country and adjusting the sizing and images during the design and manufacturing process to fit this perfectly. 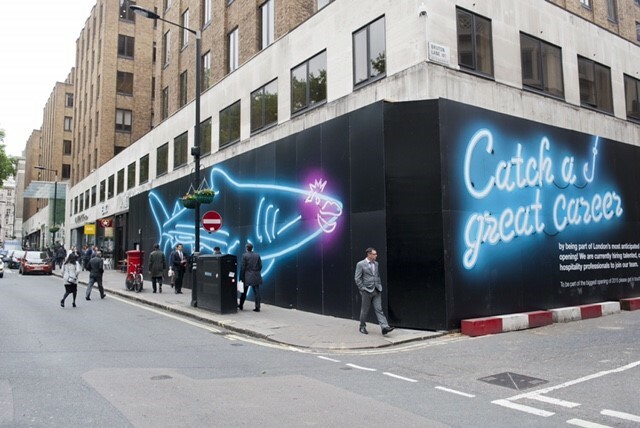 Also, a big factor we had to considering during this project was the weather and working amongst the public inside and outside of the stores and ensuring their safety was factored in throughout the installation process. Exceeding deadlines and customer expectation. 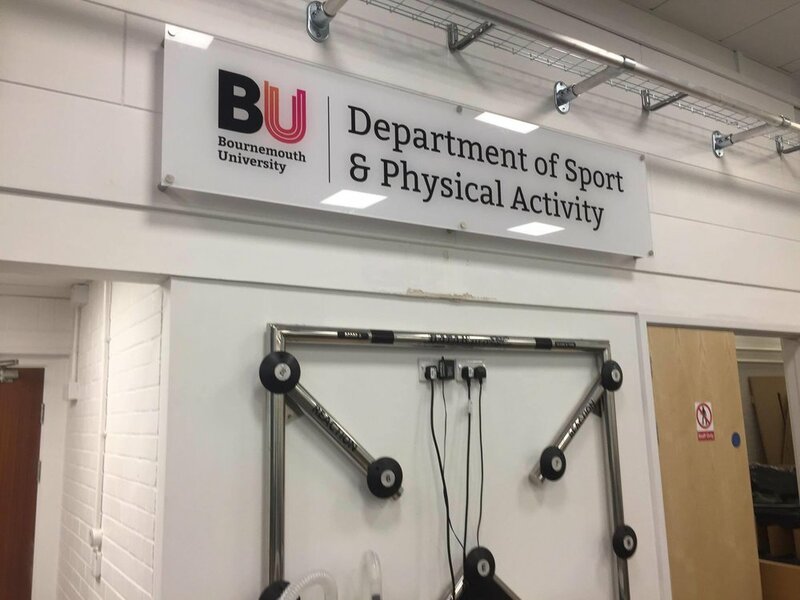 During the beginning months of 2018, we were tasked with helping design and manufacture internal and external way finders to be fitted around the University’s Fusion building. The reason for the way finders were to help maximise the efficiency of the campus and point students and staff members in the correct direction. 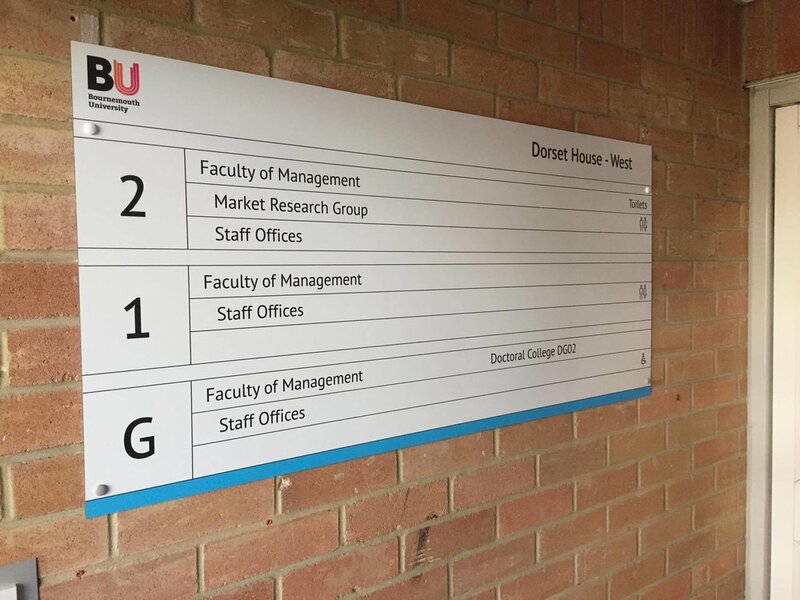 Although the University mainly utilises their own internal fitters to install the graphics, our challenge was to ensure that the designs were correctly sized for all internal and external placements and ensure that the way finders were packaged and delivered on time and undamaged. 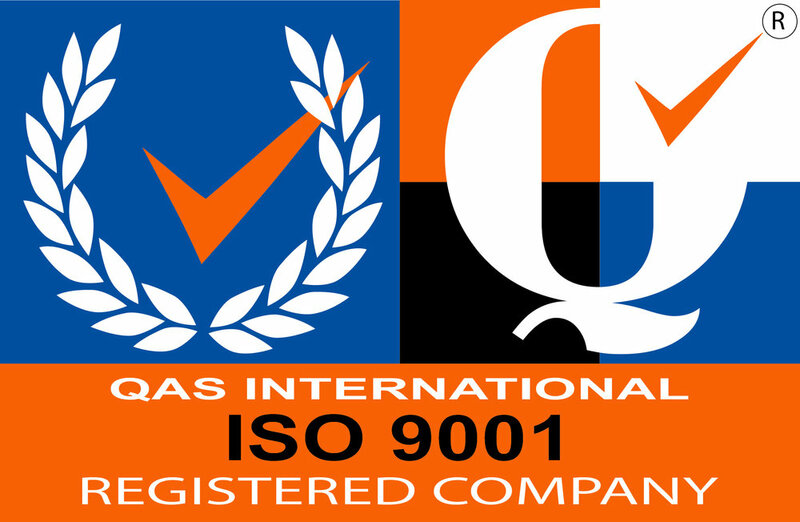 We have been able to continually produce and deliver outstanding way finders to the client and they have been thoroughly impressed with the level and quality of the work we produce and for this reason continue to support our business. Over a 6-week period, we designed, manufactured and installed floor graphics to be implemented in all Lidl’s bakery stores across the UK. Working in collaboration with Lidl’s design team, we were able to understand that that the reason for the floor graphics were to improve the company’s procedures, health and safety guidelines, productivity and efficiency when training staff members. We were thrilled to be awarded a large scale project such as this, however completing this task in time was a challenge. The reason for this being that ever store had a different layout, so we had to trust our fitters to go in and be instructed by Lidl’s staff members on where to install the floor graphics. Including this, ensuring our fitters abided by the company’s hygiene guidelines when working in the bakery’s was a challenge as our fitters utilise different equipment to complete different installations. To avoid any issues, we instructed our fitters to utilise the minimal amount of equipment possible to ensure that our work environment did not disturb the cleanliness of the bakery. Although different challenges arose, our team we able to deal with it in a professional manor and complete the tasks on time and the outcome from the bakery rollouts were outstanding. 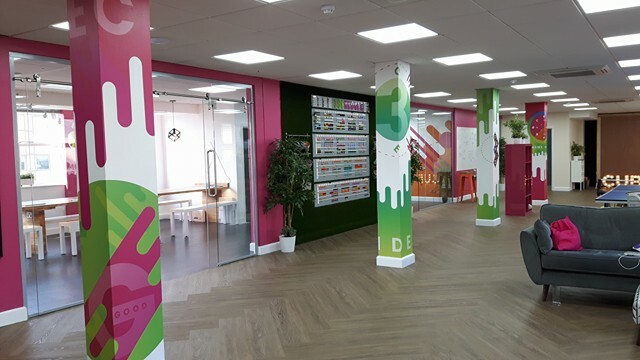 This project is a continual task as we still supply floor graphics to the company to be fitted in new stores across the UK that are newly built and current stores that are being revamped. The Royal Bournemouth Hospital is an acute general hospital based in Bournemouth and is a part of the Royal Bournemouth & Christchurch Hospitals NHS Foundation Trust. 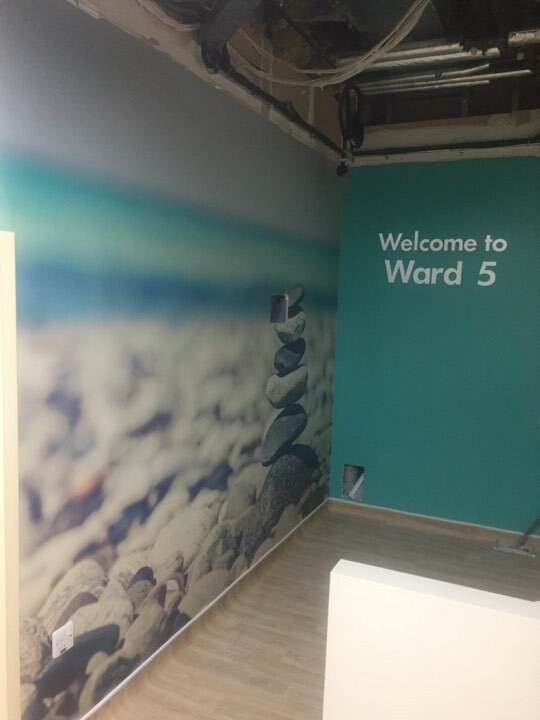 With roughly 60,000 patients seen to a year, it has been an honour to be able to design, manufacture and install graphics around the hospital to be seen and enjoyed by many. 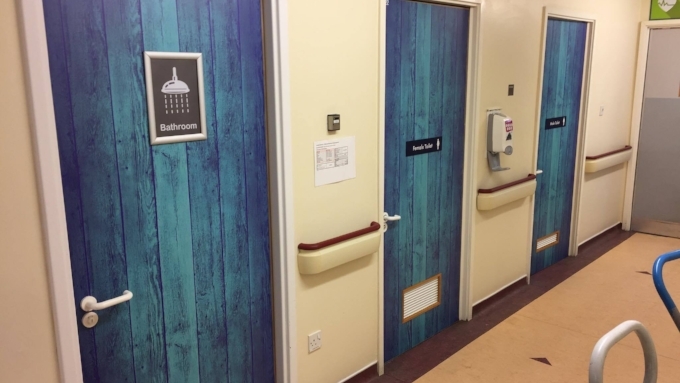 At the hospital we have been involved in designing, manufacturing and installing internal directories; to help direct people around the hospital, wrapping entrance doors; to help create a warm welcome to the hospital and placing vinyl’s on ward doors; to help differentiate the different wards in the hospital. The main challenges we have faced during these projects has been trying to work in such a busy environment and around sick patients. The wards at the hospital are constantly busy, so with this, sometimes we are unable to start or complete an installation. The reason for this is that some wards may be shut down due to many different reasons and with this we would have to reschedule with the client to come back and complete the task at a more convenient time. 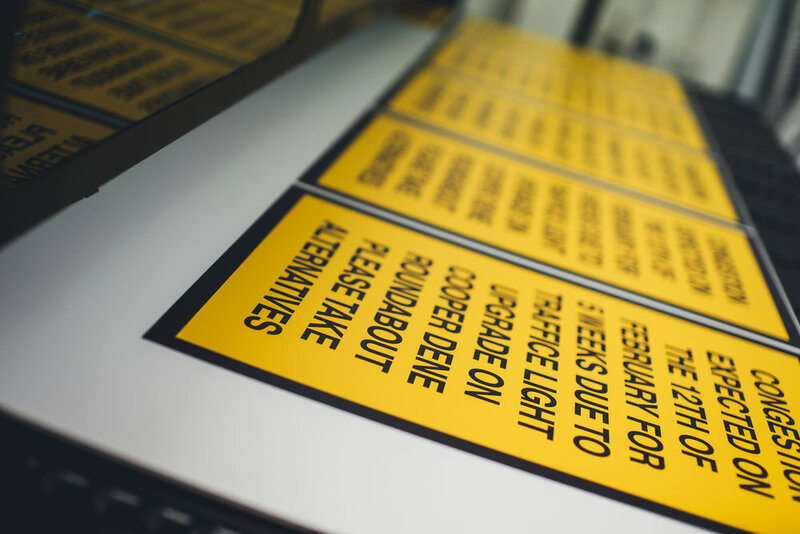 At Think Signs we aim to be versatile and help our clients wherever possible, so we are happy to reschedule and come back to complete any task and ensure that the client is fully satisfied with the work produced. Please selection an option and simply click on the cover to download a brochure. Welcome to our new page! 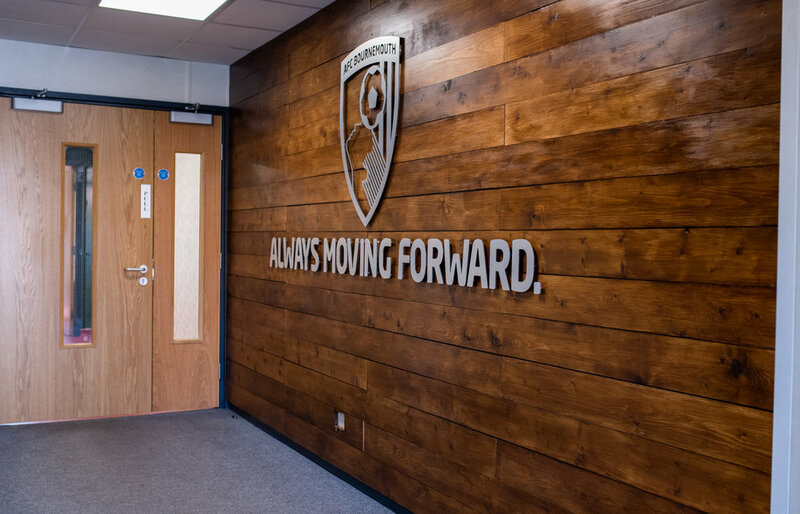 During the next weeks and months we will add photos and videos with updates of all our work undertaken at Bournemouth Football Club. 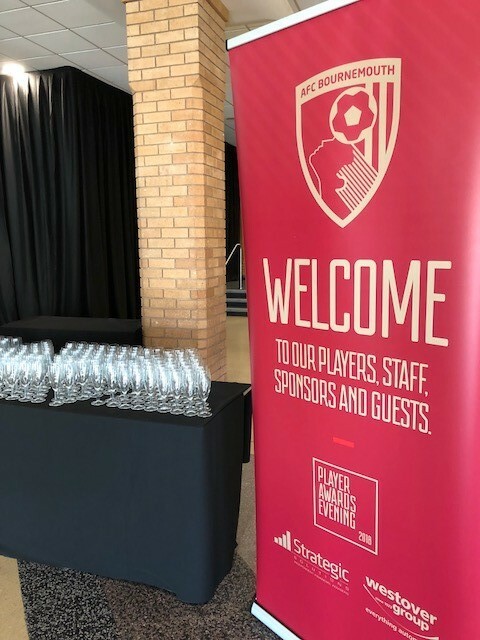 We are so proud to be the preferred sign supplier to such an esteemed footballing brand. Together we are a winning team. Visit our Facebook and Twitter page for up to date news and information. What is an architectural finish? Architectural finishes are a self-adhesive surface option for covering existing surfaces within bars, hotels, restaurants, retail and many more commercial spaces. We can help you transform your decor both inside and out. Since our architectural finishes can be applied to virtually any surface – doors, walls, elevators, ceilings, columns, cabinets and millwork to name a few - we can help transform any space. Reception areas to offices, bathrooms to kitchens, we can tailor any room to your own specific preferences. If you are looking for a bold feature for either your interior or exterior walls, we have plenty of options to choose from. Our architectural films enable you to customise the look and feel of any space allowing your creativity to shine. TOUCH: textures that enhance, uplift and transform interiors. Feel: Create totally amazing spaces and high quality customer experiences.